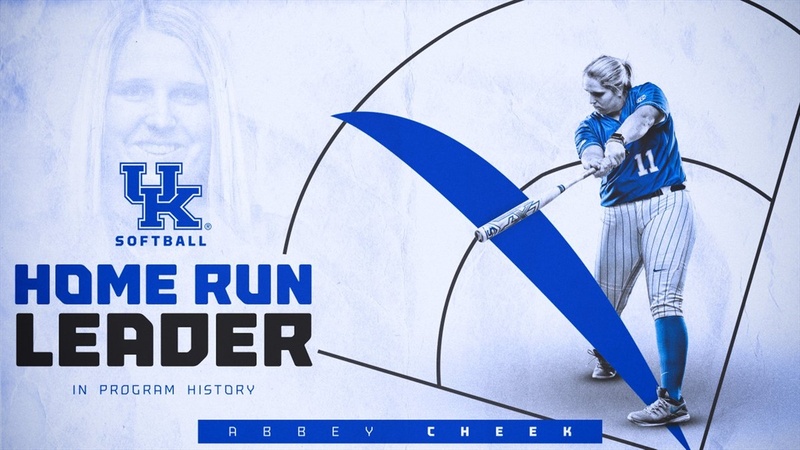 Abbey Cheek has broken the home run record at Kentucky with her 49th home run in the second game against Missouri. Cheek broke the record of 48 set by Brittany Cervantes in 2012. Missouri spoiled the day however, winning 11-8 to clinch the series. Kentucky had a 5-0 lead from a grand-slam by Alex Martens and an RBI from Cheek. Missouri would then score 8 runs to take a 8-6 lead over the Cats. Missouri would score 4 more and Kentucky would only add two more. Kentucky looks to salvage a win when the series finishes up tomorrow at Noon ET.